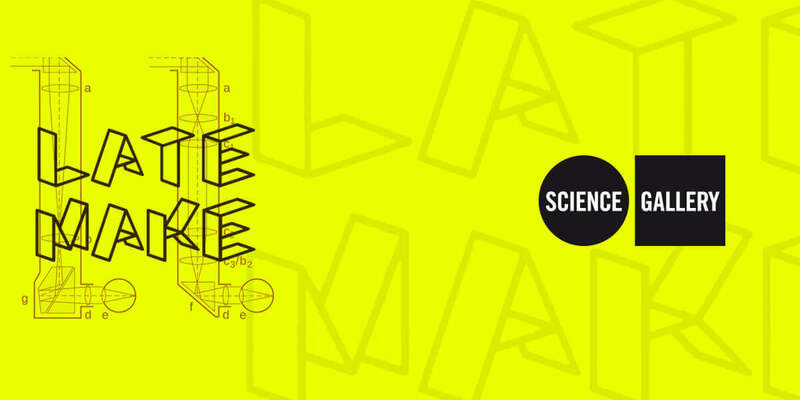 In collaboration with our talented colleagues in MAKESHOP, we’re introducing a brand new workshop series in the Science Gallery Dublin studios. LATE MAKE invites you to explore our exhibitions through design and maker workshops. These evening workshops take a playful look at our current exhibition, SEEING, inspiring you to share your ideas on perception and vision, have fun learning a new skill and take home your own invention. Kick back and enjoy workshops experimenting with perception through periscopes, photography and microscopes.